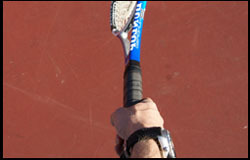 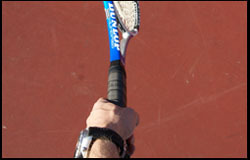 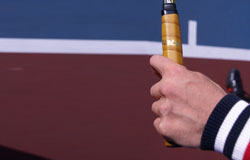 The Western Forehand Grip, it´s an extreme grip. 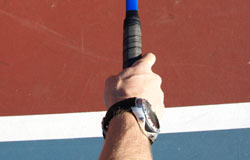 The most natural swing pattern with a Western grip is sharply upward and very fast, which explains why most Western hitters generate heavy topspin. 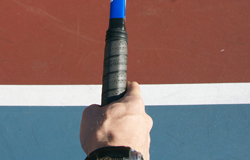 The Western grip handles high balls much better than low ones. 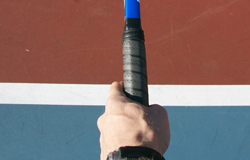 Clay-court specialists and players who hit with heavy topspin favor this grip. 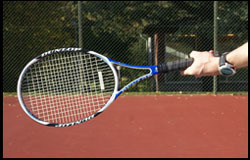 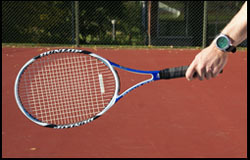 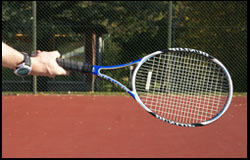 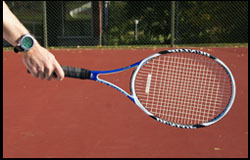 - you need tremendous racquet-head speed and wrist strength to generate adequate pace and spin. 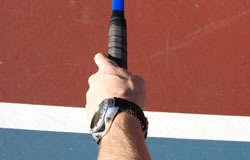 If not, your shots will land short and your opponents can attack them. 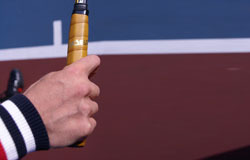 During the 90th and beginning of year 2000 several players used the western forehand grip but noadays it´s not that many, especially on the ATP-tour.